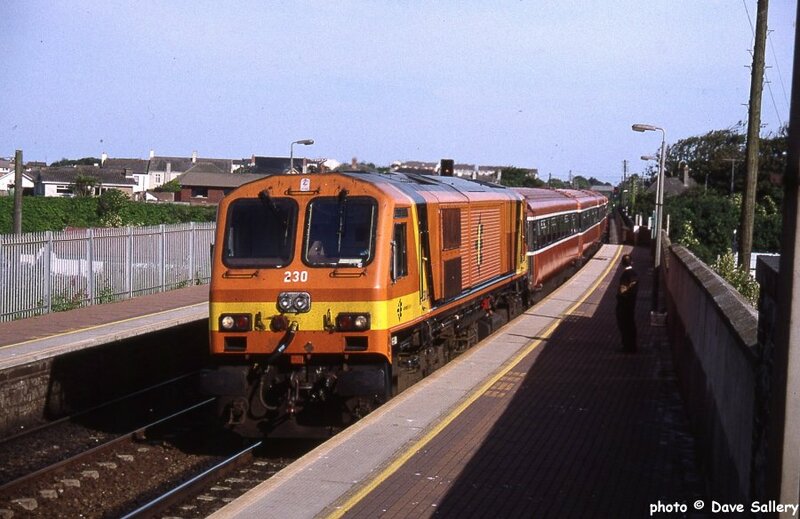 208 and train in Enterprise livery, Balbriggan, 17 June 1999. 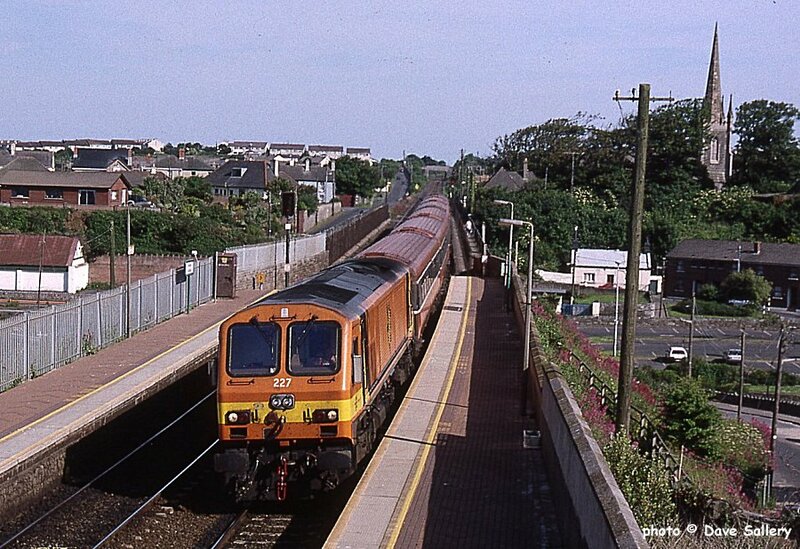 217 enters Balbriggan from the north, 17 June 1999. 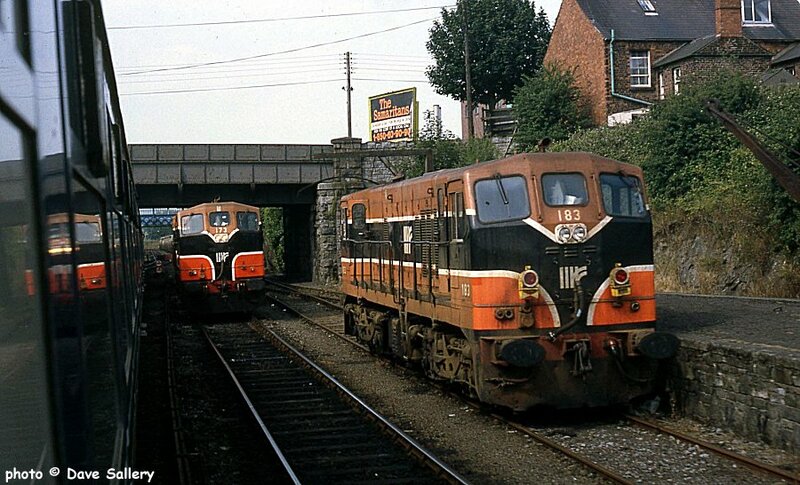 227 and 230 on suburban workings from Dublin at Balbriggan, 17 June 1999. 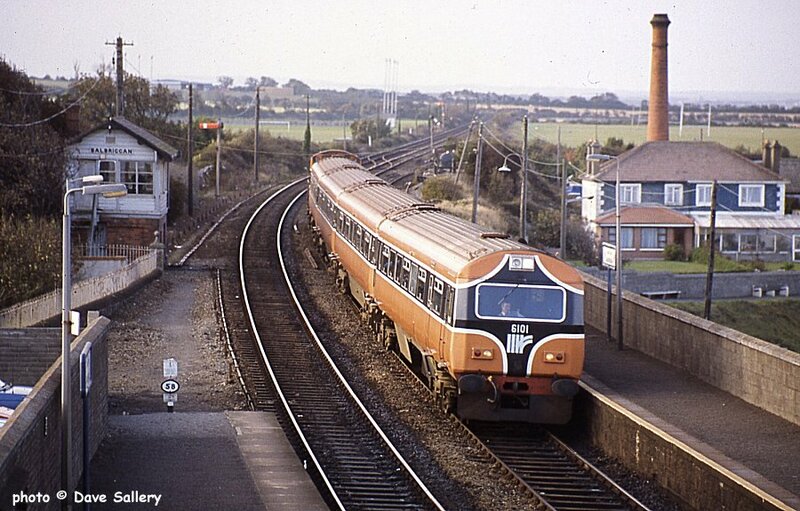 These turns are now all worked by diesel railcars. 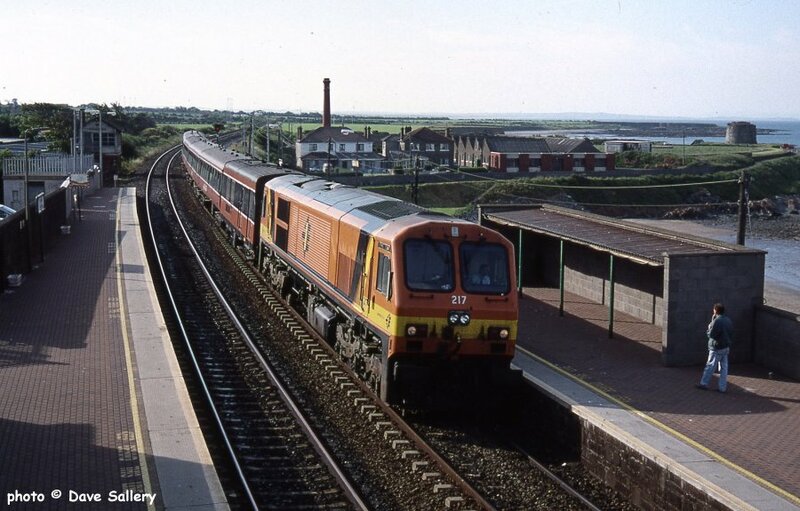 Driving trailer 6101 at Balbriggan, 1 October 1991. 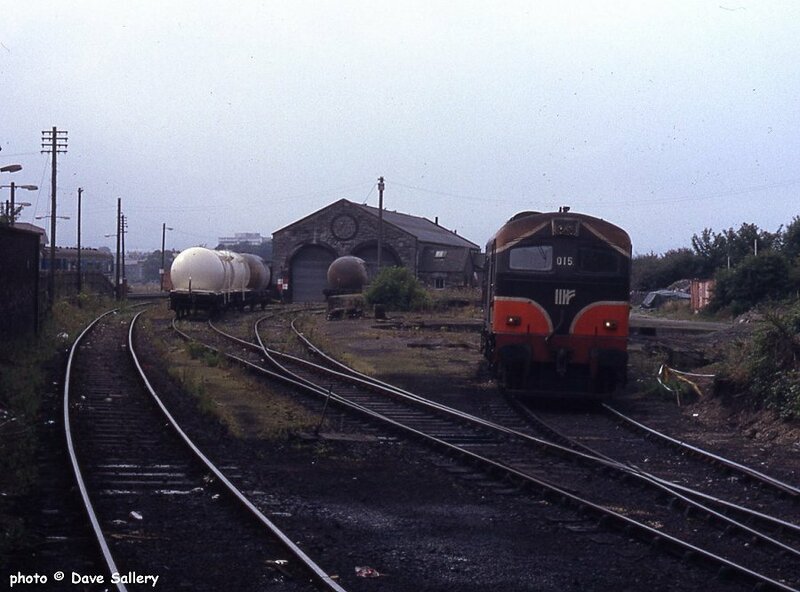 015 in the goods yard at Drogheda, 20 July 1994. This location is now the site of a major DMU servicing depot. 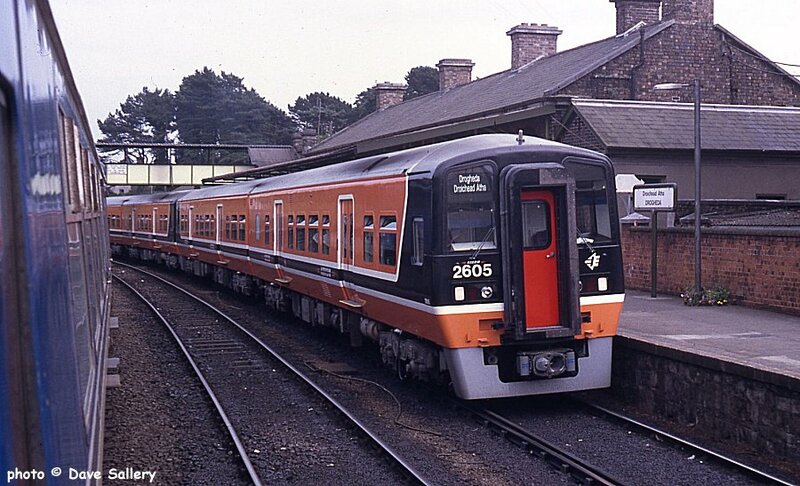 2605 at Drogheda, 20 July 1994. 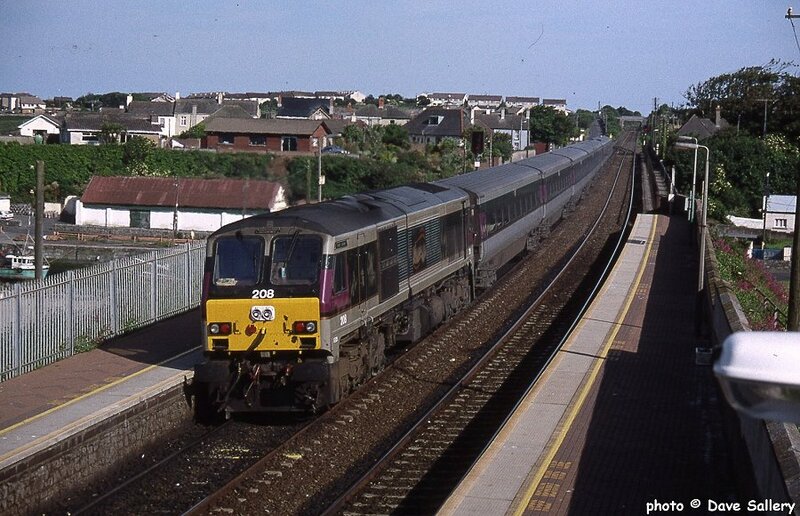 173 on a southbound freight passes stabled 183 at Dundalk, 20 July 1994.